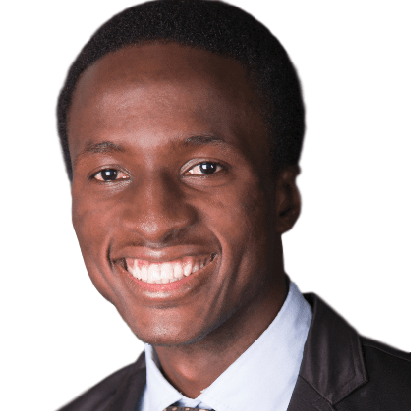 Samuel Edet is a business developer at Siemens, on an exchange program funded by the German government, ESMT business school and African Institute for Mathematical Sciences. He was nominated for the 2017 Thomson Reuters Excellence Award; student category: The award recognizes research in data science that are relevant to the industry. His masters research work on recurrent neural network for financial market forecast, which was jointly supervised by Emeritus professor Ronnie Becker and Associate professor Bubabcarr Bah from AIMS, South Africa, was nominated alongside Olorato Mosiane research work on artificial neural network for detecting Radio Frequency Interference (RFI). Olorato Mosiane, a South African who emerged the winner spoke on the relevance of his research in the ongoing Square Kilometer Array project in South Africa. Thomson Reuters is a multi billion dollar mass media and information firm, that also render services to different industries using data science focused solutions. The Thomson Reuters Excellence awards have been described as the ultimate form of recognition of the organisation’s customer excellence. The awards take place annually and place the spotlight on excellence in business practice, partnerships, embracing technology, innovation as well students who are making headway in data science. Previous Post Interaction with Legacy: What Nigerians can Learn! !